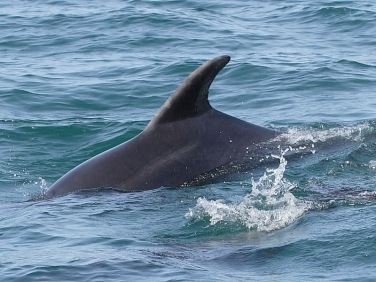 Cornwall is one of best places in the British Isles to see marine mammals, Basking Sharks and seabirds from the land and sea. 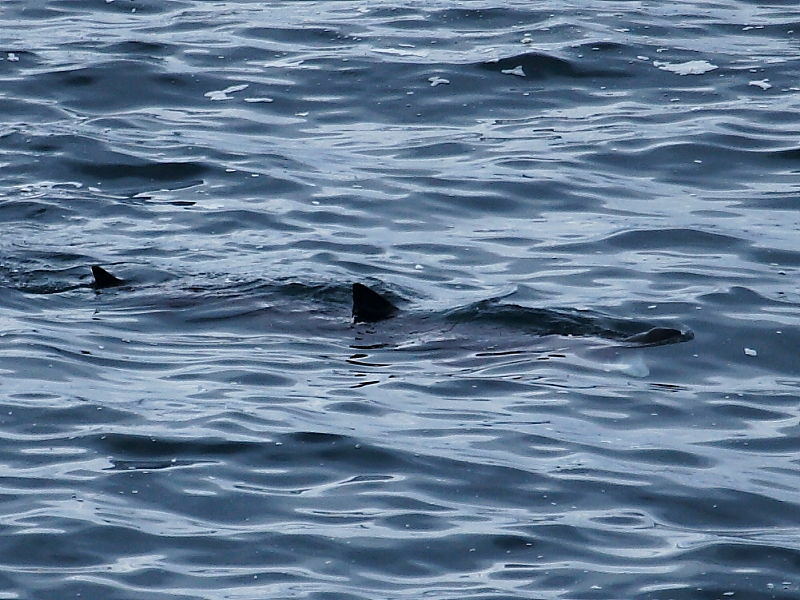 Oceanic Sunfish are not uncommon and even a few whales and Loggerhead Turtles are sighted annually. In recent years thousands of huge Barrel jellyfish have been sighted from all around the coast and in harbours such as Newlyn and Falmouth. Please see update on Portuguese Man-of- War and Barrel jellyfish. Although sightings come from all around the hundreds of miles of Cornish coastline there are several places that have historically produced consistently large numbers of records. Conveniently, in South West Cornwall, visitors are never too far away from one of the top sea watching places. 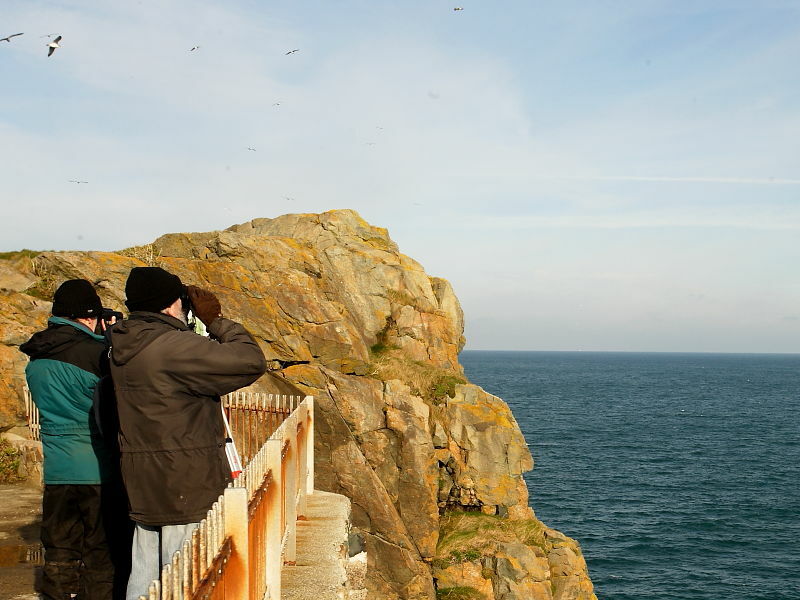 Click on the places below for more information on the best seawatching sites. Sightings can be unpredictable but, in general, seals, dolphins and porpoises can show at any time of the year. 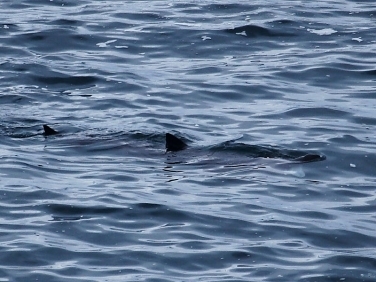 Basking Shark first show as the plankton bloom increases in late Spring and then depart in the Autumn. Oceanic Sunfish arrive inshore during the summer to feed on jellyfish. 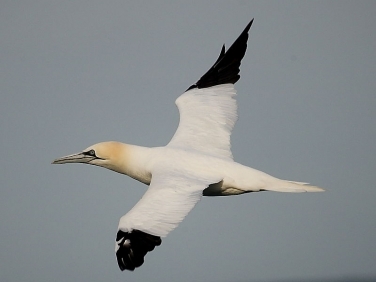 Large numbers of seabirds, including a wide variety of different species, can be seen all year round. From April to October is the best time for numbers of passage birds such as Shearwaters and Skuas. The best weather conditions are during strong onshore winds which drive birds that are normally far out to sea close to the coastline. In south west Cornwall the north and south coasts are never too far apart so there is usually somewhere within reach that is worth a visit regardless of the wind direction.